If you’re like millions of people across the United States, you love decorating your home and/or business during the holidays. As a matter of fact, 43% of decorators are so anxious to get their holiday decorations up that they start hanging lights before Thanksgiving! While the process of setting up your holiday display is probably something you look forward to, we’re willing to bet that taking down your display isn’t something you enjoy as much. Having to store all of your lights and ornaments, stuffing your artificial tree into your garage… The process can get so overwhelming that many people resort to just throwing everything onto their garage floor and pushing the pile off to the side until next year. To ensure that your holiday decorations last you a long time and to save you hours setting up your decorations next year, follow these storage tips! 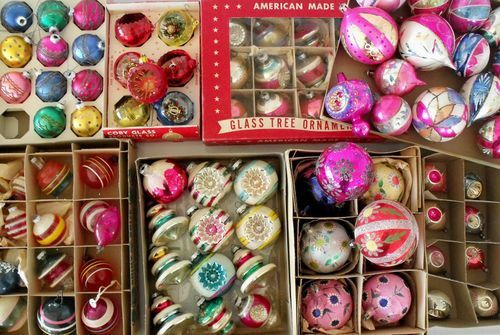 We love packing away our more heavy duty ornaments in freezer bags before dropping them into storage containers. This allows us to keep them from rubbing too aggressively against other ornaments which can cause paint chipping. The bag’s transparency also allows us to easily find what we’re looking for. We can’t stress enough that this trick is best suited for ornaments that aren’t too damage prone. A freezer bag won’t provide much in the way of impact protection. Wreaths, artificial or real, can be expensive. That’s why it’s important that yours don’t end up stuffed at the bottom of a box somewhere where they can get bent and ruined. The safest way to store your wreaths is by hanging them. You can do this by placing them on a nail in your garage or by using a clothing rack or similar safe hanging spot. Artificial trees are great because they save you from the hassle of having to go out each year to purchase a new tree that’ll shed all over your house. To keep your artificial tree safe from the elements until next winter and to maximize your garage space, shrink wrapping is a good way to go. Shrink wrapping shouldn’t ruin any of your branches so don’t let that keep you from trying this trick. When you unwrap your tree next year, it should look as good as new after a quick fluffing. Don’t have shrink wrap? Want to limit your use of plastics for environmental reasons? Then leverage old belts to whip your unruly tree into shape. You may need 3 or 4 belts depending on the size of your tree but if that’s not a problem you can cut down on the amount of room your tree takes up significantly with a quick wrap. To get your lights stored fast and to save a ton of time untangling things next year, wrap your lights around old scraps of cardboard before putting them into storage. If you do, you’ll avoid tangles and reduce the risk of your light’s wiring getting bent which can ruin your light string. If your home or business went heavy on the garland this year, it’s important to know that if you don’t store it right, you’re going to end up with tangles that are very hard to remedy. The way to avoid that fate is as easy as pouring your garland into empty water bottles. A single bottle should fit up to two strings. Have small ornaments that are breakable and mean a lot to you? Put each of them into their own individual slots within an egg carton. Once they’re in place, shut the crate and tape it closed. Egg cartons are designed to protect (you guessed it) eggs. That same design will keep your holiday decorations safe in storage. Wrapping paper can get costly depending on the number of presents you have to wrap each year. While most people end up having a ton of wrapping leftover at the end of the holidays, the elements take their toll throughout the year which can leave your paper unusable. To keep your wrapping paper in pristine condition for the next 11 months, throw all of your spare rolls in an old garment bag, zip it up and hang it. You can even put other paper products like cards, gifts tags, and more in your bag to afford them the same level of protection. Dumping a bunch of glass holiday decorations on top of each other in a box is a recipe for some to get crushed under the weight of others. To help keep your storage container organized and your decorations safe, put your items in red plastic cups before placing them into storage. Doing this will offer your fragile decorations an extra layer of protection that will prevent breakage in the event that items shift over the course of the year. When you throw all of your holiday decorations into random boxes, you’re left trying to remember where you put your lights or other things you want to work with first when starting work on your holiday display. Save yourself time and organize your decorations into containers based on the order that you want to use them. Doing this will make it so you can easily access what you need imminently next year without the guesswork. Armed with our tips for storing holiday decorations, you’ll preserve the value of your lights, ornaments, and other essentials for years. You’ll also ensure that decorating next year will be low on pain and big on fun! If your garage door isn’t performing as well as it could be, it can slow down your whole day. To make sure that your door is working properly and safely, there’s no better team to call than R&S Erection of Concord. Our team specializes in everything from residential garage doors to commercial commercial doors and beyond. Let us provide you with the outstanding service that so many of our customers have come to love over the years. Contact us today about any of your garage’s needs and let our team help you get the most out of your space! Feel like holiday decorations are exploding from every nook and cranny in your garage and closets? Perhaps it’s time to re-think your storage solutions. These days, garage storage is as much of a science as it is an art form, and there are plenty of tricks at your disposal. We assure you that if you work out the storage kinks ahead of time, putting away your holiday decorations will be much less depressing than it already is. Before you get started, we recommend using a clear weather day to de-clutter and clean out your garage if you haven’t done it in a while. It will make it that much easier to design a new storage system for your holiday items. Here are some of the ideas, gadgets, and tricks we’ve learned over the years, and much of the advice holds true for any seasonal or themed furnishings, accents and toys. Install ceiling-to-floor shelving. In truth, this first tip is one we’d advise to just about everyone. Stainless steel storage shelving systems abound and you can often find them used. They are affordable, require virtually zero cleaning or maintenance once installed and will help to get things up and off the floor, with items stored vertically to reduce the impact on your garage square footage. Once installed, you can make an entire section the “holiday décor” station, or you can use the top- or top-two levels to store holiday and other seasonal items that are rarely used during the rest of the year. Use a rafter- or ceiling-suspended storage options. One of the best things you can do to store items you don’t use that often is to get them up and out of the way. There are several different rafter- or ceiling suspended storage systems available for this purpose. The higher-end options can be hand or electrically raised and lowered, making it pain-free to load and unload them when you need to. Bag up the tree. 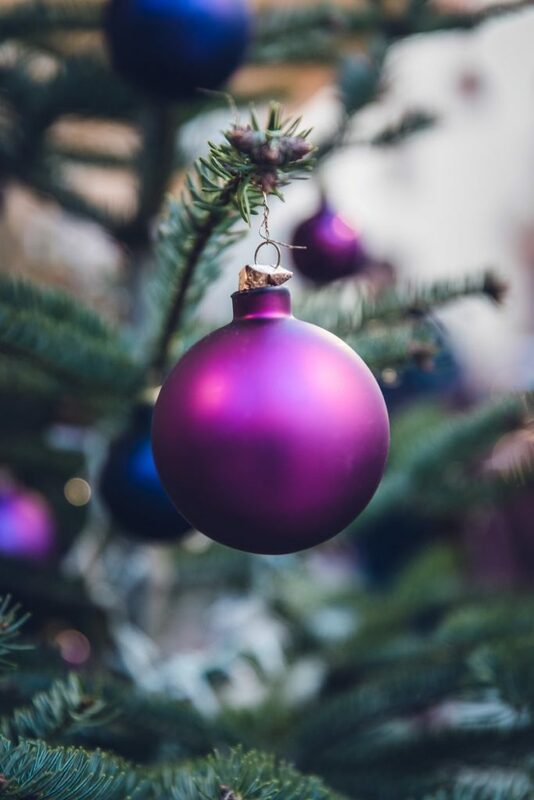 Does your family use an artificial tree? Go online or to your local hardware store and invest in a high-quality roller bag designated to store a tree of your size. That saves the hassle of setting it up and breaking it down each year. When everything is zippered up tight, storage bags are the easiest way to keep your tree looking its best, free from dust, debris or pests. If you have a small tree and/or you’re small enough, the tree can be stored on a piece of plywood resting on the rafters. Otherwise, find a designated corner where it can be stored upright. Get holiday lights under control. If you use multiple strings of lights to decorate the exterior and/or interior of your home we have several recommendations for you. The first is cheap and easy – use a length of masking tape, folded back on itself to form a tag, and write down how long the string of lights is and where you use(d) it. That makes next year’s decorating that much easier. When it’s time to take them down, carefully wind the lights into a round and store string one in its own plastic bag, then lay those flat in a clear plastic storage bin (more on those next). Buy clear, plastic storage bins. When it comes to holiday decorations, it’s all about clear plastic bins so you can see what’s in there. In truth, we’re fans of clear storage bins for everything because we’re tired of scratching out and re-writing labels as our items come and go. Again, it’s worth it to invest in quality – and buy the type that snap-and-lock to keep your items pest- and debris-free for the other 46+ weeks they’re being stored each year. Plus, they make it easy to stack and stack without having to worry about collapsing cardboard. Divide decorations by location. Try organizing your decorations in a way that makes sense, like differentiating storage bins by indoor/outdoor, the floor of the home and/or specific rooms. This helps you with both set up and break down. Weatherproof your garage. Weatherproofing your garage, by upgrading insulation and ensure your garage is properly sealed, will protect the decorations from significant temperature fluctuations and/or direct weather and moisture contact that can destroy the contents. When your holiday decorations are sorted, organized and safely stored, it makes decorating and de-decorating a breeze.